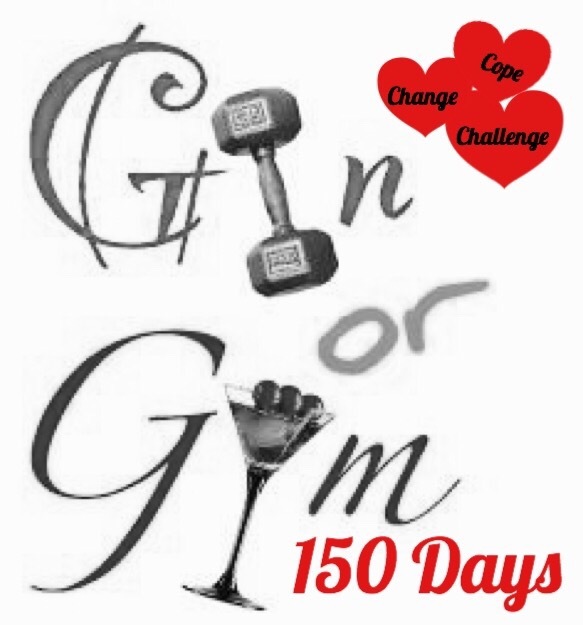 150 Day Challenge : what is it all about? I have already explained why I am doing this and where my inspiration came from but I thought it was time to be a wee bit more exact in what I am trying to achieve. First of all, I am using this Challenge to put into practice the three words that a lot of my life has been focussed on, change, challenge and cope. The idea is that I create the change myself, then add a challenge and learn to cope and adapt my life to permanently include that change/challenge as a way of life. All this of course staying true to the Gin or Gym philosophy of keeping life balanced. So example is for the first two weeks I have to go for at least a 30 minute walk every day, the challenge is to make sure it becomes routine so that when I get back to work it is part of my day and also to cope with the rain, hail, sleet or snow. Another change is to look at my eating habits, making small changes like less comfort food like pasta or toast and more trying out other things that I may just like. The challenge again is to work this into my daily life and stop adding a cake when I have coffee or diving into a cheeky bag of nachos!!!!! The main point of the whole thing is that I consistently Blog about about and try to show how it can be done and why the red faced, sweaty mess you see when I film is real with no filters. Hope this all makes sense and thank you to everyone who has volunteered to help me with my try new activities!!! !